When you’re trying to get through a triathlon in your best time ever then every second counts. That’s why you need the best possible gear. Whether you’re choosing the best triathlon wetsuit, the best triathlon bike shoes or even the best triathlon suit; you know it will improve your transition times and your overall time. I’ve definitely found this to be true. The first time I tried swimming with a wetsuit I recorded my best time ever in the water. 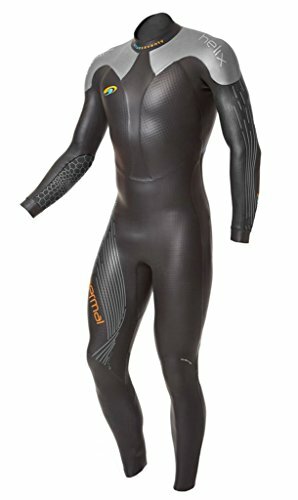 Now I’ve been lucky enough to try out several wetsuits and am confident that this is the Zone 3 Vanquish best triathlon wetsuit currently available. 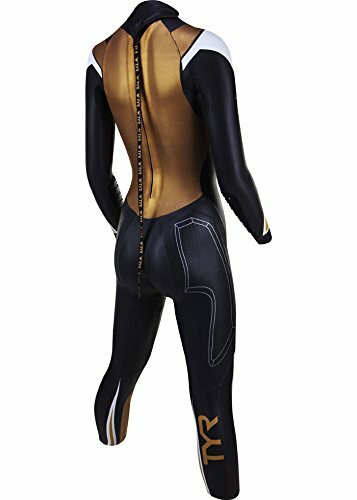 This is not the cheapest wetsuit available but it is one that is frequently used by top athletes. You can get it I men’s or women’s and you are certain to be as pleased with the results as I was. You’ll notice that the design of this wetsuit incorporates a V shaped neckline; this reduces the risk of chaffing which will detract from your time. The Zone 3 Vanquish incorporates pro speed cuffs. The principle behind these is that the surface of the suit is coated with a special compound; but only at the ankles and the wrists. The coating allows the suit to glide off of you virtually effortlessly. This is a bonus after you’ve finished the swim section of the race. There is a large panel on the chest which is referred to as the ‘aerodome’. This is essential two layers of neoprene with air bubbles trapped between them. Put your suit on and just float in the water; you’ll notice this dramatically improves your buoyancy; helping you to focus on swimming not staying afloat. You will also find the aerodome feature on your thighs. The aerodome panels work well to ensure you have neutral buoyancy, you won’t feel like part of you is sticking out of the water at a funny angle. This is a result of the chest panel balancing out your thighs to create a happy medium. The neoprene is just 3mm thick and will be placed under a lot of stress as you power through the water. This Vanquish suit has a one piece shoulder which relies on the fact that only one arm is in front at any given time. When used this way I’ve found it to be extremely durable, better than the Blue Seventy Thermal Helix. It is worth mentioning this again. The coating at the ankles and the wrist allow the suit to literally fall off you; that’s an important advantage if you’re trying to change quickly from swimming to bike or even running. This suit removes the stress of the transition and lets you get going. It is worth noting that the Zone 3 Vanquish is not the cheapest option on the market. However, it is created by a company dedicated solely to triathlons. It’s worth paying the funds. The arms are neoprene but this doesn’t allow you to ‘feel’ the water. Adding some fabric strips to allow the water to touch your forearms would benefit the flow of your strokes. The zip is a reverse, upward breakaway zipper. It’s not always the easiest to do by yourself. But at least it won’t get accidentally undone by a competitor. Let’s get one thing straight, there are expensive wetsuits and then there is the TYR Hurricane Freak Nature. AT well over $1,000 it costs roughly double the next best suit. But, it does use an extremely high quality neoprene. There is no disputing that this is the most flexible wet suit o the market today. The TYR Hurricane Freak Nature is made completely from Yamamoto smoothskin #40 neoprene. This means it will adapt to your body rather than compressing your body to fit the suit. It doesn’t matter what your specific body shape is you’ll be comfortable in this suit. 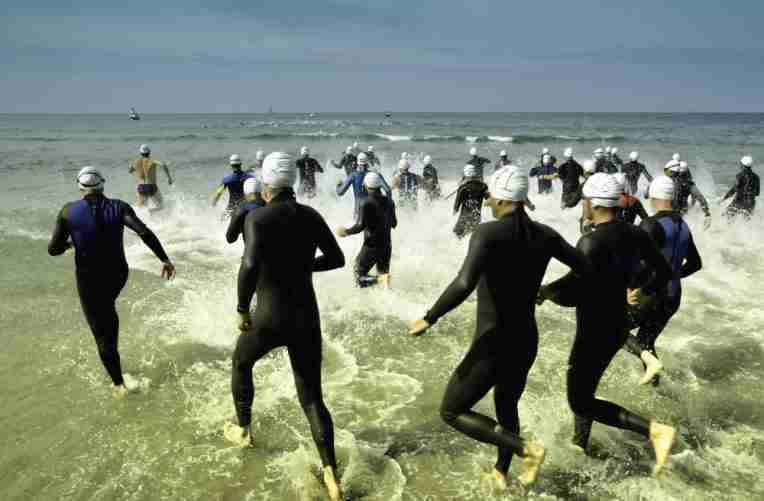 You’ll also note a better ability to move in all directions when swimming; which could make a big difference as you power through the swim section of your triathlon. Just like the Zone 3 Vanquish the TYR Hurricane has beat in panels with air bubbles rapped between layers of neoprene. However, the Hurricane Freak of Nature doesn’t just have these on the thighs and chest. It also has them on the sides of the legs and hips. This will help to prevent roll as you crawl through the water; reducing your drag and energy wasted. The result is faster times. Because the suit is so flexible it is exceptionally easy to put on and take off again. This is a distinct advantage when changing between stages. The suit will literally feel like an extension of your own body. These or similar panels are starting to appear on all the top wetsuits. The idea is to create something that can actually grip the water and pull it past you; enabling you to go faster than before. The impressive thing is that these panels actually work. The suit is meticulously put together. Every stitch is glued down, the outer glue is strong and durable and the inner seams are designed no to irritate your body. This high attention to detail helps to justify the cost and ensures it will last you for years to come. The TYR Hurricane Freak Nature is not the best triathlon wetsuit for beginners. The cost is simply too much when you are starting out in the field. This suit costs a lot and is really just for those who are at the top of their game and are looking to gain a little extra. Although Blue Seventy is often associated with Women’s suits the Blue Seventy Thermal Helixis a great option for men; especially if you’re look at cold water swims. The first thing to note is that the Blue Seventy Thermal Helix is designed to be used in cold water. You’ll be able to stay in water below 50° F for at least an hour without feeling the numbing effects of the cold. This suit is a must if you’re regularly swimming in cold water. Warmth is achieved through the addition of a zirconium jersey built into the suit and sitting next to the skin. The water gripping forearms are also replaced with neoprene to help ensure the warmth is retained. All I can say is it really works! The Thermal Helix is exceptionally well made. It appears to stretch to fit your skin; making it exceptionally comfortable. There are aerated panels to help you get adequate buoyancy and the suit also comes with a soft collar to improve fit and comfort as you race. Any wetsuit you out on should make you feel faster but the Thermal Helixuses technology to ensure you really are faster. Alongside the warmth there are the standard aerated panels in your legs. These push you into a slightly downward swimming position that helps reduce drag and improve your times. It is hard to get the balance right between buoyancy and speed but the Thermal Helix seems to have found the happy medium. This suit is at the higher end of the spectrum; potentially more expensive than the Zone 3 Vanquish although not in the same ballpark as the Hurricane Freak Nature. This means that as good as it is, you should only invest in it if you do a lot of swimming in cold water. The zipper is a standard style one. This does make it easier to get the suit on by yourself. However, if you’re wearing the Thermal Helix for any length of time you’re likely to find the zip rubbing the back of your neck. Unfortunately there isn’t much you can do about this. It is worth noting that the Thermal Helix is great for cold water but you may find it too warm when the water isn’t so cold. If you are a cold water swimmer but swim all year round you may need to purchase 2 wetsuits. The best triathlon wetsuit for value and practical use has to be the Zone 3 Vanquish. 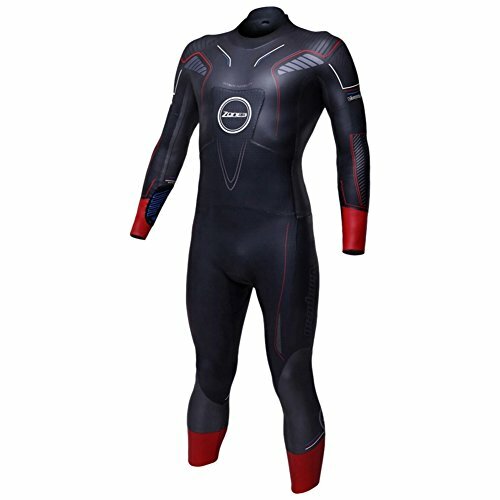 It offers all the features you need in a high end wetsuit and will improve your times. If you’re regularly competing in triathlons then you need the best triathlon wetsuit and the Vanquish will fulfill your needs perfectly. Both of the other suits on this list have their place; it’s just not at the top of the list!